Are you hesitating about incorporating emails into your online marketing strategy? Think that this method is past its prime? Well, think again. More than 70 percent of customers chose email over other online channels, including social media, mobile apps, direct mail, and text messaging. Not convinced? How about the fact that email has an average ROI of $38 for each $1 spent? One of the biggest reasons why customers prefer emails over other promotion channels is personalization. 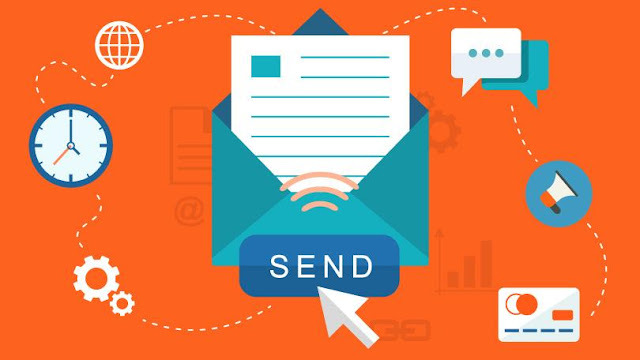 Marketing emails can be highly personalized down an individual user level, which is appreciated by prospects and customers. For companies, there are several excellent reasons for using email marketing. First, it’s ridiculously cheap compared to other methods. The largest financial investment that needs to be provided is customer relationship management software. Afterward, the cost of one message is one penny or even less. Second, marketing emails are effective because they are action-oriented. For example, they contain direct calls-to-action to drive traffic to the website that are also highly personalized. Third, companies can easily measure and evaluate the performance of email marketing campaigns. In turn, this provides an opportunity to make data-driven decisions on optimization and personalization. No other marketing avenue has this benefit. To master email marketing, companies need to design a number of specific emails to send to the prospects and customers. Each of them is highly personalized to correspond to the experience of the receiver. In this nifty infographic below, experts from Assignment Helper have described these emails as well as their functions and some pro tips. Additionally, the infographic includes some useful stats from recent studies that will help you to avoid mistakes like annoying emails and unwanted design elements. Whether you are an eCommerce store owner looking for introducing email marketing or an online marketer in need to get more knowledge, you will find this guide helpful.